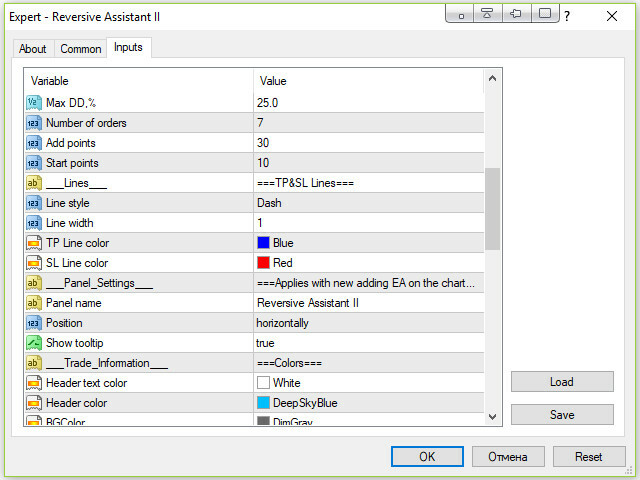 EA is an enhanced version of Reversive Assistant EA. 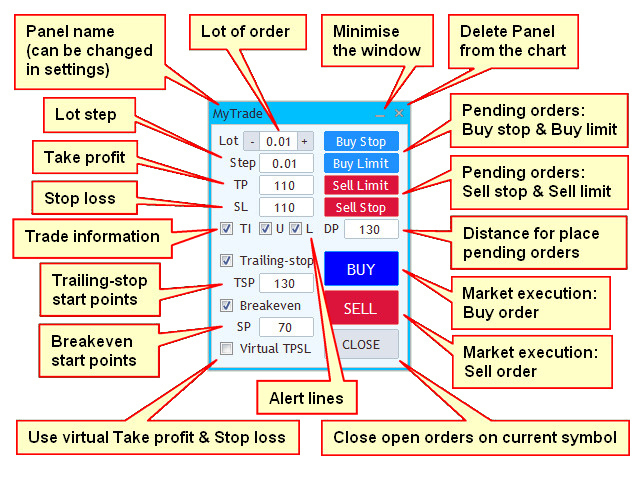 He also, like his predecessor, when closing an order at a loss automatically opens the opposite order with the take profit norm set in the settings (Lot multiplier parameter). But unlike the first version, it can work on several open orders that were opened using the built-in trading panel or with the help of another adviser. 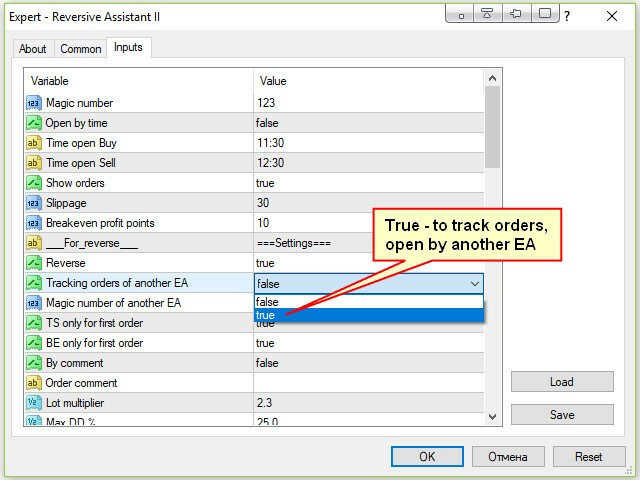 To track orders of another advisor, simply add Reversive Assistant II to the chart of the same currency pair and specify the identifier of orders of the tracked adviser in the Magic number of another EA parameter in the settings. 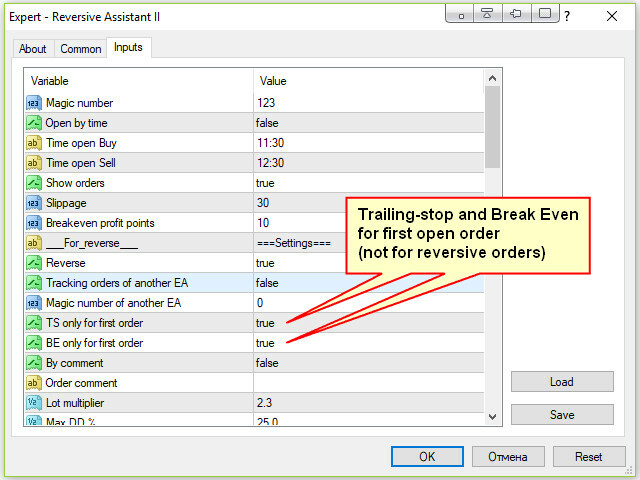 For the convenience of trading, all operations on opening orders are combined into a trading panel, which also has the functions of breakeven, trailing-stop and the possibility of changing the usual take profit and stop loss to virtual (not visible to the broker). 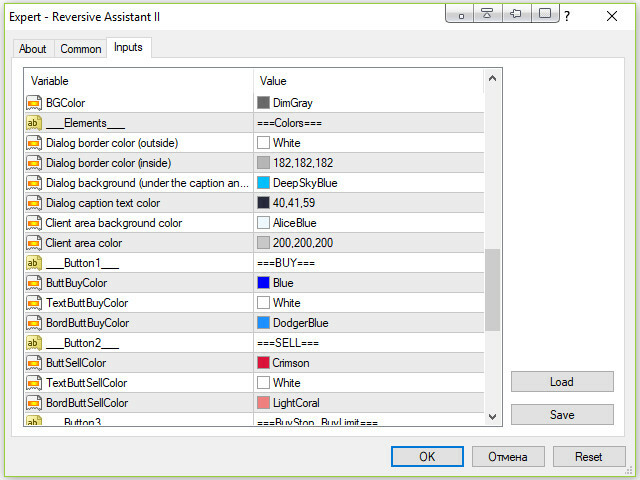 These functions can be activated or disabled at any time directly on the panel. Also, the panel can be customized in appearance. Changes in the settings are applied when a new or first addition of the panel to the chart. 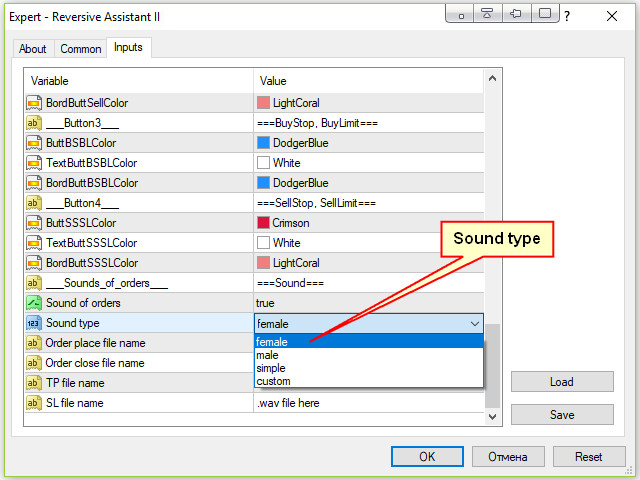 The sound accompaniment for opening and closing orders can also be configured: there are three built-in sound options, as well as the ability to install your own sound files. The files of the format "***.wav" need to be placed in the Sounds folder of the terminal. 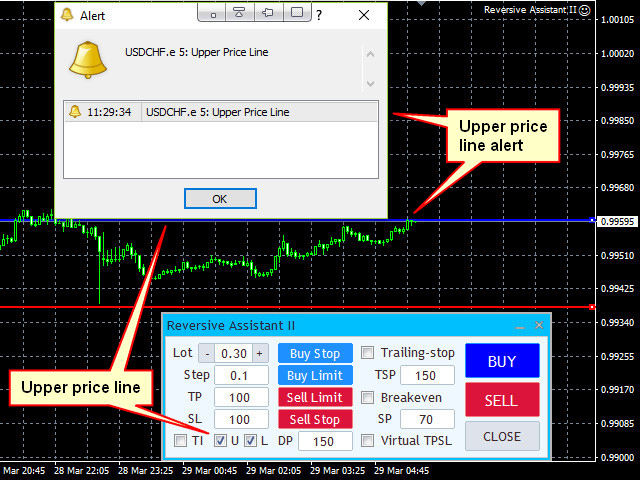 In addition, there is a possibility directly through the installation panel of price signal lines, upon reaching which the price will display a visual and audible alert. 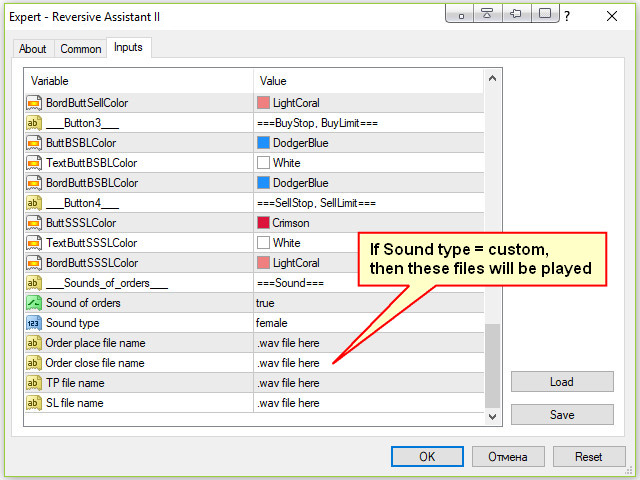 As a sound alert, a custom sound file of the "***. wav" format can also be used, which must also be placed in the terminal's Sounds folder. If manual closing of the order is necessary, for the expert to work correctly, it is necessary to close it on the panel. (In the strategy tester, the operation of trading panels is not tested). File name - the name of the audio file as "***.wav". The file should be added to the Sounds folder of the terminal. To stop playing audio files, you can install a free additional Sound Stop script from the product list in the terminal and use it when you need to stop playing the file. In the screenshots, you can also see the Price Zones indicator, which shows price zones on the chart. Added button and checkbox sounds. Added the ability to customize the default location of the panel on the chart. Added the ability to directly set the price signal lines on the chart using the panel.